Description Everyone will just drink up your next marketing campaign with this customized 16 oz. 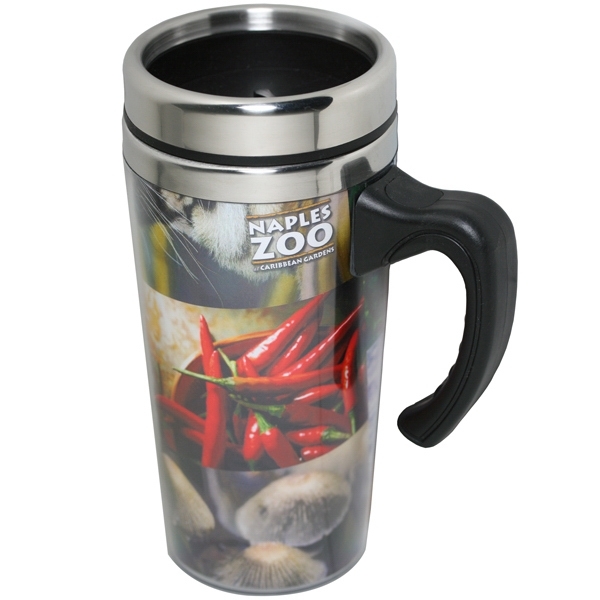 Digital StainlessSteel Travel Mug/Tumbler! It features a spill resistant double wall construction with a thumb-slide closure and durable handle. The outer shell is made of clear translucent acrylic and the inner liner is stainless steel. This commuter mug comeswith a digital color insert which allows for custom logo in full color process. Perfect for hot and cold drinks.